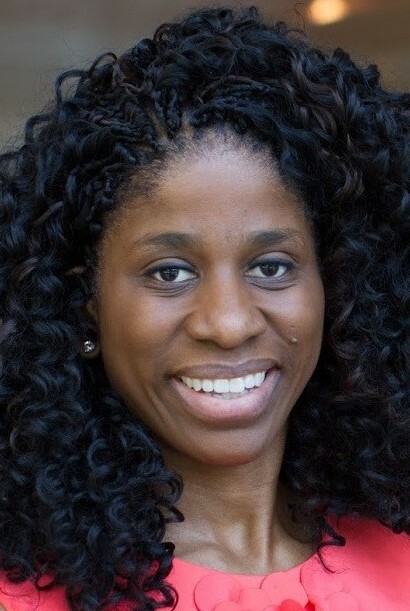 A conversation with Terri Jackson, Director of Operations of the WNBPA — newest affiliate of the World Players Association. Being ahead of the game is nothing new to the members of the Women’s National Basketball Players Association. Founded 20 years ago, the WNBPA was the first labor union comprised of women athletes in the history of sport. The organization also ratified the first-ever collective bargaining agreement (CBA) in the women’s game in 1999. 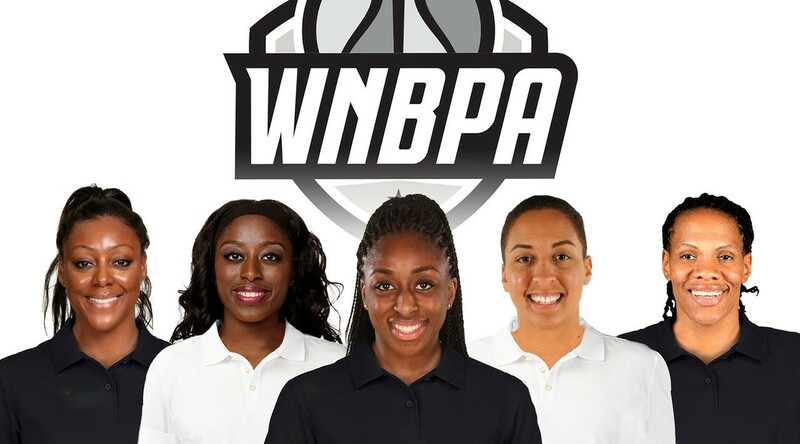 Over the last two years, WNBPA members have been pioneering once again, this time by taking social advocacy in sport to another level. From protesting police violence and siding with the Black Lives Matter-movement to advocating for LGBTQ rights and planned parenthood initiatives, WNBA players cover the field of burning social issues. After initial pushback — levied fines that later were rescinded — the league has started to embrace the social conscience of its players. This includes WNBA president Lisa Borders who, at the 2017 All-Star Game press conference, commended the players for their civic engagement. At the World Players Association, we are thrilled to welcome this group of thoughtful and outspoken women into our fold. They are led by Terri Jackson, who is a former Director of Law, Policy and Governance at the NCAA and a graduate from the Georgetown University Law Center. As Director of Operations Jackson has been an adamant proponent of her members’ social advocacy, be it in discussions with the league or by providing educational resources. In 2018, her members face the important choice of whether to opt out of the current CBA. For World Players Jackson took time out of her busy schedule to talk about approaching this decision, player unity, grass-roots organising, and, of course, the affiliation to World Players. WORLD PLAYERS: A recent article in the New York Times quoted former US women’s national team player Judy Foudy stating that the fight for gender equity in sport has reached a tipping point. What do you make of this assessment? TERRI JACKSON: Frankly, I’m not sure if we have arrived at a tipping point but it’s certainly a very interesting time for women in sports. You can see it everywhere: in tennis where Venus and Serena Williams have been very vocal on equal pay, in women’s soccer where players have started organising all over the globe or in US hockey where players took a stand for better working conditions and equal opportunities. And we are pleased to have the support of male athletes. Take Michael Bennett’s unconditional stand for women and International Women’s Day. Or LeBron James’ very conscious decision to wear game shoes emblazoned with the word “Equality”. Those are definite signals that there is a groundswell of support for these issues. WP. Does this overall sentiment help empower your organization, especially in a year where you might be entering negotiations for a new collective bargaining agreement (CBA)? TJ. Our members are acutely aware that this could become a defining moment for them and their sport when looking ahead towards a new CBA. The players have committed themselves to using the next several months as an exploratory and educational period to bring themselves up to speed on all the issues that shape the experience of playing in the WNBA. I can’t ask for anything more than that. When your members are willing to engage to that level that is great for any player union leader. WP. Speaking about your members: they appear to be incredibly united and determined. Can you share how you’ve been able to create this kind of cohesion among them? TJ. It is actually quite simple: Our members value different opinions. They want everyone to be heard on any issue, but they also value consensus. They listen to everyone, take a vote and move on. It’s almost as if they transfer the team mentality to governing their organisation. I don’t know how much I play a role in it. I put the structure in place and remind them of it but bringing it to life comes quite natural to them. It goes back to who they are: A unique group, mature, thoughtful, college-educated. They pay attention to tradition and history. They recognize what WNBA players did 20 years ago — coming together and organizing, understanding the value of the collective voice. It’s in their DNA to continue along these lines. WP. This thoughtfulness of the players and their desire to be agents of change has made headlines in the last two years with regard to a variety of social justice issues. The union has always supported the players’ causes and defended their right to protest. But you have also taken on an educational role in this respect. Can you share how this came about? TJ. Sure. In the summer of 2016, just before the league suspended its games for the Olympics, the players came to me with a request: they wanted to get an even deeper understanding of these social justice issues. So I reached out to a host of university professors that helped me to put a curriculum together. We compiled a reading list and organized a webinar with experts. It was fascinating to see the players on our WhatsApp chat commenting on the books they have read and suggesting articles to each other. 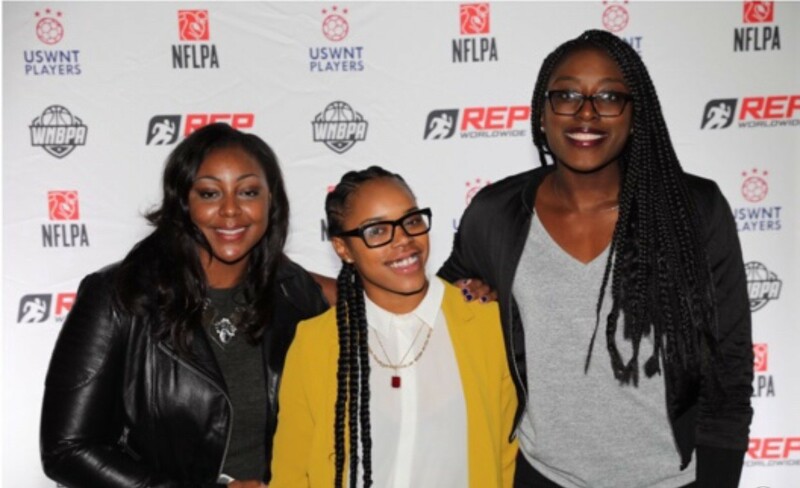 WNPBA Excecutive Committee leaders Monica Wright (left) and Chiney Ogwumike (right) joing fellow WNBA player Brittany Boyd (center). WP. When you took on your position of Director of Operations two years ago did you anticipate this educational aspect to be part of your role? TJ. Certainly not. Starting my job I didn’t fully grasp what it means to be the staff lead of a player association. I don’t know if anyone does who comes new to such a role. It is so multi-faceted, there are many hats that I wear but that’s also what I love about it. WP. Our affiliate EU Athletes has just published a guide on setting up women player associations. What would be your advice to young leaders seeking to organize female players? TJ. Two things come to my mind. Probably the most important one: Always remember that at the end of the day professional sport is a business. Regardless of what the relationships with the league and team management have been in the past: they sit on the other side of the table. You come to that table to do business. If you keep that in mind, other things will come easier. Secondly, focus on the greater good by which I mean the wellbeing of all players regardless of their profile. The decisions you take should positively affect every player with the aim to ensure their longevity in the game. Our role is to protect them. At the same time, we recognize our natural responsibility in raising the visibility of the game. That is why we seek to find ways to appropriately collaborate with the league with the intent to grow the game together. But again, first and foremost, my job is to protect the players. WP. Organizing also comes down to identifying committed and able player leaders. What are qualities you look for in a player to fill a leading role? TJ. What excites me is a player with a clear sense of what she wants our league to look like. Someone who doesn’t think about her situation first but about her vision of what the experience of playing in the WNBA should and could be. I also love players that have creative ideas and who are not afraid to share them. If that player also has some organizational skills and communicates well with her teammates I can’t wait to have her engaged in whatever capacity. WP. Going back to a potential new CBA, how important is the exchange with player associations from other sports and countries? TJ. These connections are absolutely critical. Here is where our affiliation to World Players is indispensable as it provides us with resources and access to other player unions across the globe. We can now benefit from the experiences of so many organizations that have faced the same issues or are working on solutions at the moment. We are looking as widely as possible to other unions for those resources and for a better understanding of what “Next” looks like. Being included at the last Executive Committee meeting in Washington, D.C. was huge for our union. It gave us a real sense of strength and a better understanding of the issues we are dealing with. WP. At the meeting in D.C. we launched the Universal Declaration of Player Rights, the first comprehensive articulation of player rights in a single document. What role does the Declaration play in your current deliberations? TJ. The Declaration serves as an outline for us in our discussions. All of the provisions, but particularly those concerning health and well-being, name and image, freedom of expression as well as compensation are necessary and affirming reminders to the players that these are recognized, basic rights.